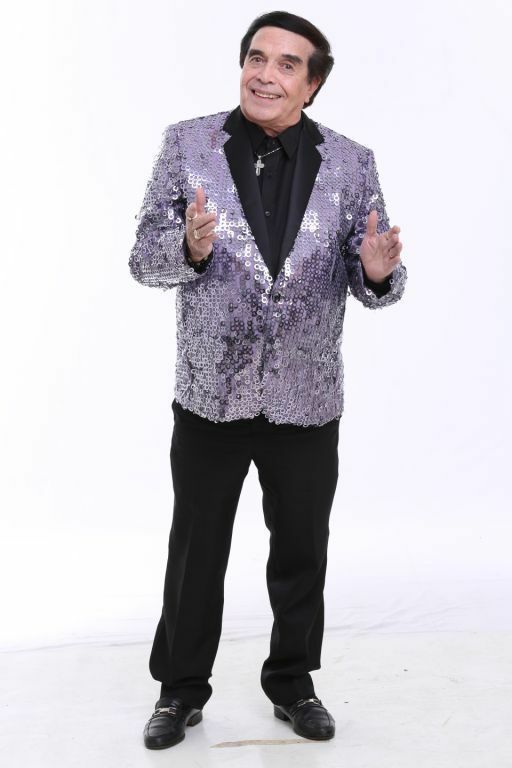 Contrary to the recent news regarding the cancellation of the late-night variety talk show Walang Tulugan with The Master Showman of German “Kuya Germs” Moreno, GMA promises that the show will still continue to air and delight viewers all over the world. After more than two weeks of confinement due to mild stroke, Kuya Germs has been officially discharged from the hospital last Saturday (January 17). Meanwhile, he continues to undergo therapy. Aside from the program hosts John Nite, Jackielou Blanco, Sharmaine Santiago and Shirley Fuentes, the promising stars Hiro Peralta, Ken Chan, Jak Roberto and Jake Vargas will continue to bring shine to the show. Also, don’t miss the chance to get to know the guest hosts of the show that will be coming in while Kuya Germs is still regaining his energy. Be updated on the latest scoops about your favorite showbiz personalities on Celebrity Talk with the entertainment journalist, Aster Amoyo. There’s no stopping Walang Tulugan with The Master Showman. For more information on GMA Network’s artists, programs, international channels and events, visit the website www.gmanetwork.com/international. Bear witness to the much awaited union of the well-loved couple Dingdong Dantes and Marian Rivera and be part of the momentous wedding celebration of 2014 as GMA Network gives Kapuso viewers an exclusive pass via a two-part special on January 18 and 25 on GMA Pinoy TV. 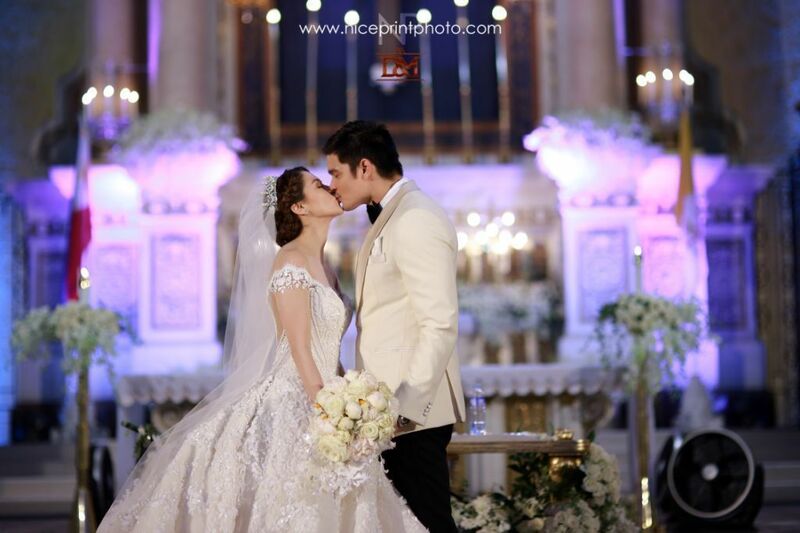 Dingdong and Marian’s love story is a testament that true, genuine love exists. 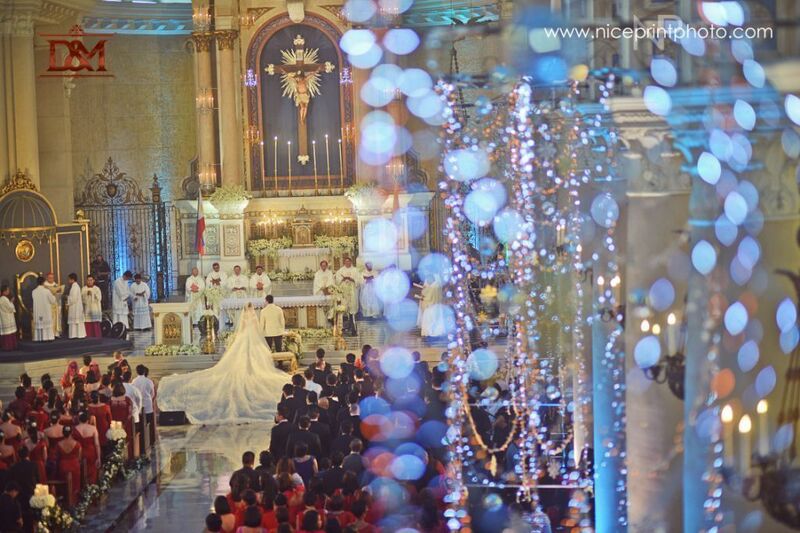 Their commitment to each other was finally sealed and sanctified by the Sacrament of Holy Matrimony as they said their vows before God and were united forever in love. On January 18, get a glimpse of the church ceremony, from the bride and groom’s wedding attire, the bride’s magical entrance, up to their first kiss as a married couple. 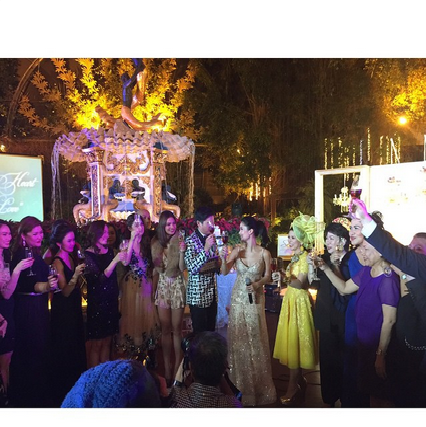 Dubbed as “Dingdong and Marian Wedding Special THE CEREMONY,” this is the first of the two part special. The first part will feature the preparations and fun moments of Dingdong and Marian hours before they walk down the aisle. The couple’s close friends and families also share their thoughts and wishes. 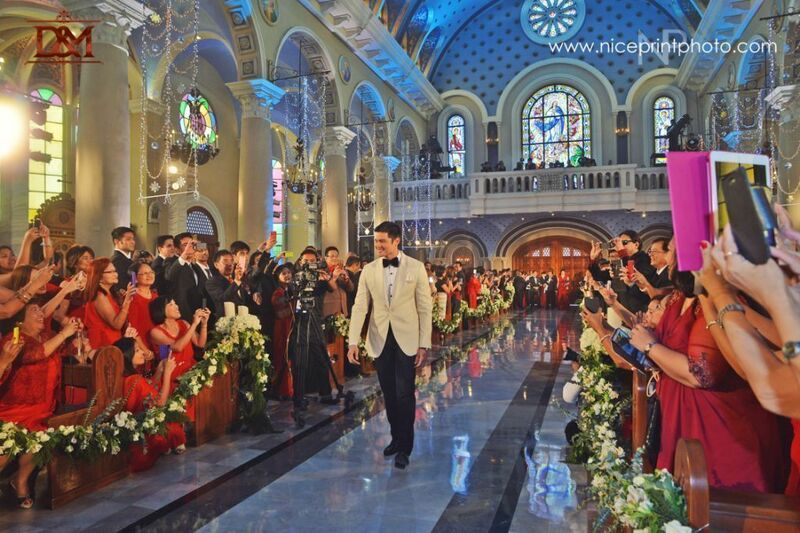 It will likewise give viewers an exclusive access to the people behind Dingdong’s success in fulfilling Marian’s dream wedding – including his live TV proposal to Marian, their prenuptial shoot and Marian’s meeting with her wedding gown designer in Dubai, and the gathering with their principal sponsors. 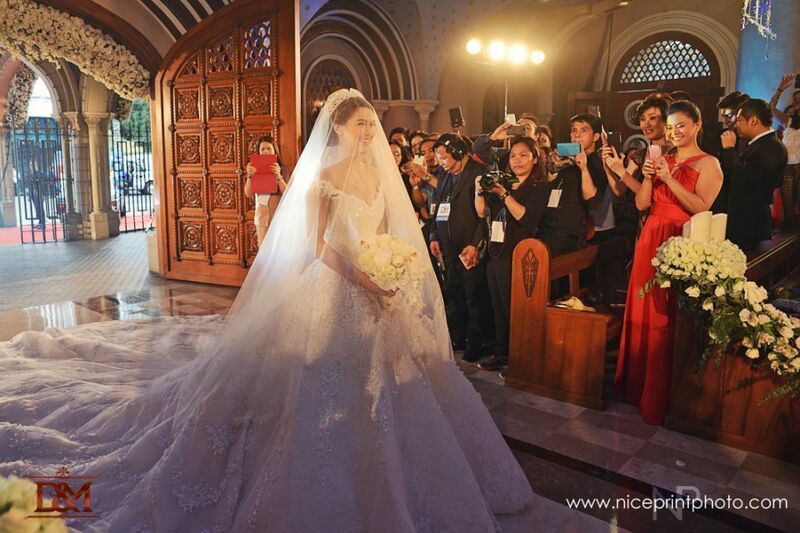 Viewers should watch out for Dingdong and his dramatic entrance to the Immaculate Conception Cathedral but most importantly, as the most anticipated highlight of the ceremony, the stunning bride as she finally walks down the aisle in her fairytale wedding dress. Get an exclusive look at the couple’s exchange of vows as they profess their absolute love for each other and the long-awaited magical kiss. This time, viewers will witness the celebration of love, joy, family and friendship with the Spanish-themed wedding reception held at the SM Mall of Asia Arena. The special will feature a never-before released pre-wedding interview of the couple, their friends, celebrity guests, as well as details from the creative team behind the reception. Viewers will hear the couple’s fairytale love story from their dearest friends and loved ones – Marian’s Maids of Honor Roxanne Barcelo, Ana Feleo and Joy Santos; and Dingdong’s Groomsmen Marvin Lanuza, Harvey Camposano and Angelo Dantes while Marian’s father, Francisco Javier Alonso Gracia, gives a touching message to his loving daughter. Part two will similarly show Marian’s surprise for her groom while Dingdong surprises Marian with a special gift – an original song and a special performance by Marian’s favorite band, Aegis. The program was hosted by the couple’s closest friends; Gabby Eigenmann, Bettina Carlos, KC Montero, Tim Yap, Janno Gibbs and Ogie Alcasid, and featured inspiring performances by Jaya, Christian Bautista, Noel Cabangon, Julie Anne San Jose, Gloc-9, Marc Abaya, Jay Durias and Regine Velasquez-Alcasid. 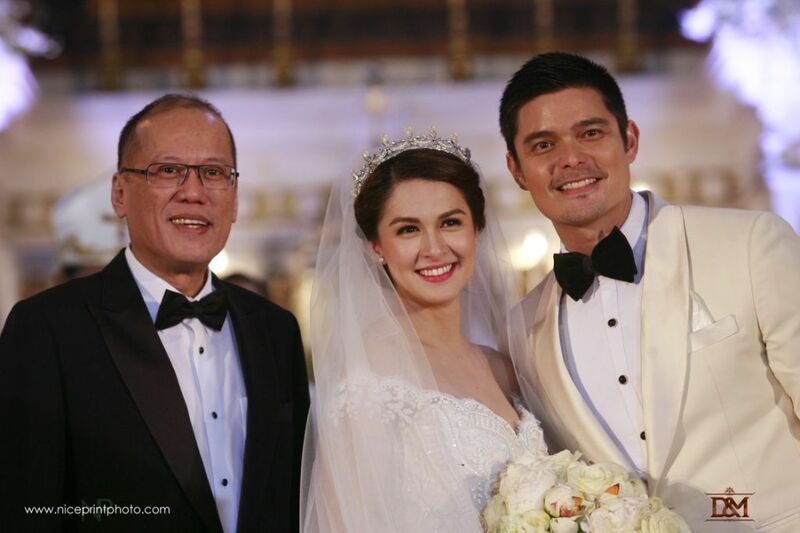 Don’t miss this rare TV event and be part of the memorable milestone in the lives of Dingdong and Marian with the two-part wedding special on January 18 and 25 only on GMA Pinoy TV. GMA International marked another banner year in 2014 with a series of successful events held in key regions around the globe. 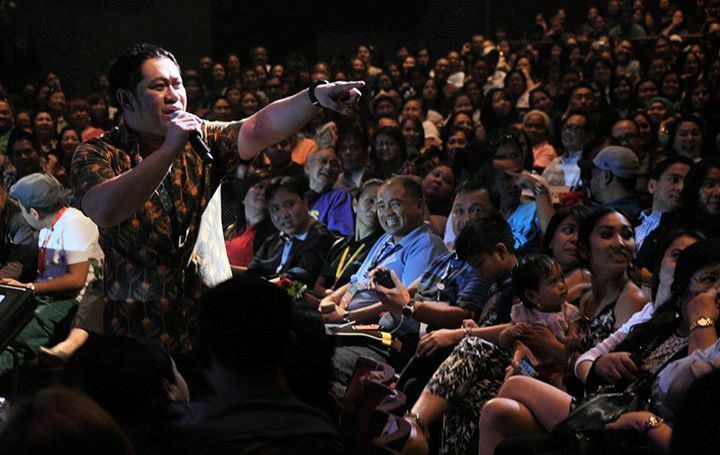 Driven by its goal of strengthening the Kapuso equity among its viewers in ways beyond television, GMA’s international business unit gave Filipinos abroad a taste of home through various on-ground events featuring the Network’s top artists. In the first half of the year, GMA participated in several well-attended events held in various cities worldwide for the annual celebration of Philippine Independence Day. Last year’s festivities saw Kapuso prime artists Tom Rodriguez and Heart Evangelista gracing the Philippine Independence Day Parade in New York City while Kapuso leading man Geoff Eigenmann joined fans in Carson City, California. 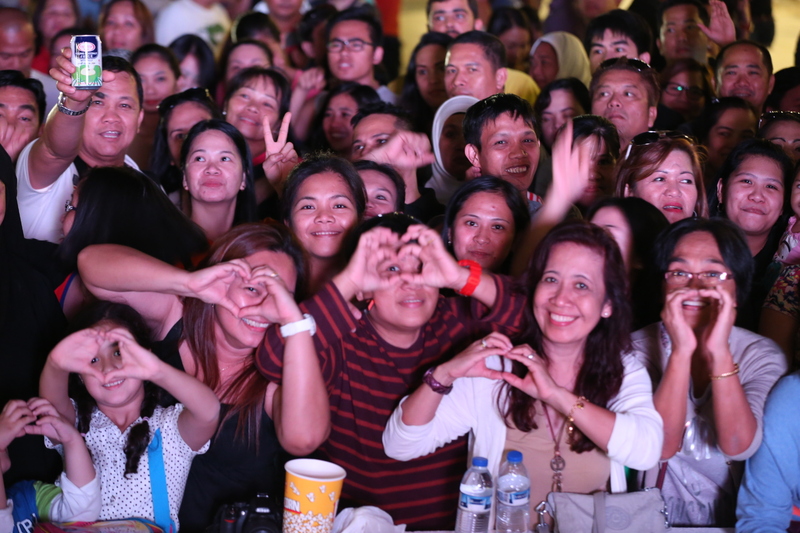 Over in Kuwait, Asia’s Pop Sweetheart Julie Anne San Jose and singer-comedienne Gladys Guevarra were featured inMusika at Tawanan 4, which gathered more than 3000 overseas workers in the region. And finally, the Independence Day celebrations culminated with Kapuso Primetime King Dingdong Dantes joining his kababayan in Bolingbrook, Chicago for the Philippine Fest Piyesta Pinoy 2014 and Kapuso Premier Actress Lovi Poe delighting over 7000 Filipino-Canadians who came to the Pinoy Fiesta and Trade Show sa Toronto. Apart from these, GMA also celebrated the vibrancy of Filipino culture as it brought Kapuso stars Benjamin Alves and Steven Silva to the Flores de Mayo Festival in Hawaii, which highlighted iconic Filipino traditions, while Kapuso Soul Diva Jaya headlined the third Vancouver OPM Festival in Canada, commemorating decades of great Filipino music. Moreover, the country’s longest running noontime show brought its trademark “isang libo’t isang tuwa” to the Filipino community in Canada with the much-awaited Eat Bulaga Live in Toronto concert led by the renowned comedic trio of Tito Sotto, Vic Sotto and Joey de Leon, who were joined by the rest of the Dabarkads Pauleen Luna, Ruby Rodriguez, Jimmy Santos, Allan K., Julia Clarete, Keempee de Leon, the “Sugod Bahay Gang” of Jose Manalo, Wally Bayola, and Paolo Ballesteros, as well as the show’s well-loved Aleng Maliit, Ryzza Mae Dizon. “Through our continued presence abroad, GMA hopes to remain instrumental in cultivating the Filipino spirit outside our home country,” Francia explains. Capping off the year’s successful endeavors, GMA International brought some of its brightest stars to Los Angeles, Dubai and Singapore for the much-anticipated Kapusong Pinoy concert series. As one of the hottest love teams on television, Carla Abellana and Tom Rodriguez thrilled the crowd in the sold-out concert titled Kapusong Pinoy sa LA with their undeniable chemistry. They were joined by Julie Anne San Jose, Kapuso teen star Miguel Tanfelix and actor-comedian Betong Sumaya who portrayed his popular character Antonietta from the country’s longest running comedy show Bubble Gang. This was followed by the equally successful Kapusong Pinoy sa Dubai which brought the Kapuso Network’s now-married Royal Couple Dingdong Dantes and Marian Rivera and Julie Anne San Jose to Dubai’s Global Village. Over 7000 spectators witnessed GMA’s Primetime King and Queen’s romantic duet and each artist’s individual performances. 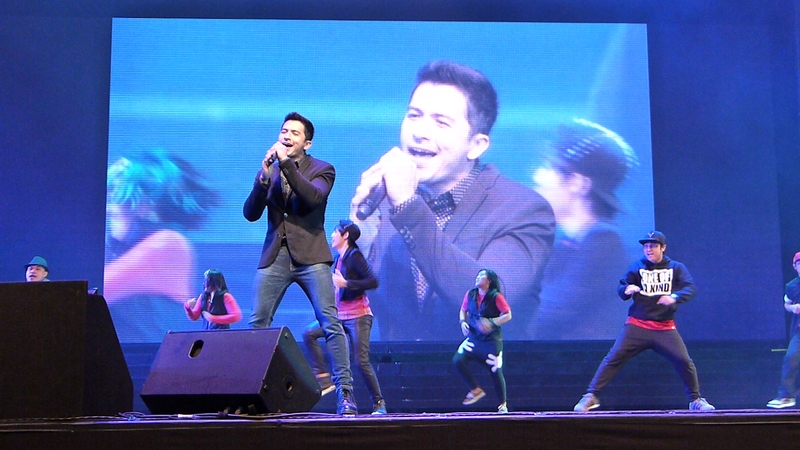 GMA completed the concert series and concluded 2014 with a tribute to its loyal Kapuso fans abroad. Drama King Dennis Trillo along with the Fearless Diva Jonalyn Viray and Betong as Antonietta topbilled Kapusong Pinoy sa Singapore, giving their audience an entertainment-filled night to remember. As another year commences, GMA International remains committed in the service of its overseas audiences, effectively bridging Filipinos all over the world to their home country. Broadcast giant GMA Network (GMA) ended 2014 on a strong note as it ruled over competition in full year Urban Luzon and Mega Manila ratings, according to the industry’s widely-trusted ratings service provider Nielsen TV Audience Measurement. Based on full year 2014 ratings (with the dates of December 21 to 31 based on overnight data), GMA reaffirmed its total day household shares supremacy in the viewer-rich areas of Urban Luzon and Mega Manila, while leading across all dayparts including the highly contested primetime slot in both areas. In Urban Luzon, which accounts for 77 percent of the total urban TV households nationwide, GMA recorded an average total day household audience share of 36.4 percent, surpassing ABS-CBN’s 31.3 percent by 5.1 points, and TV5’s 10.1 percent by 26.3 points. GMA also posted a commanding 37.6 percent in Mega Manila, higher than ABS-CBN’s 28.8 percent by 8.8 points, and TV5’s 10.9 percent by 26.7 points. Mega Manila represents 60 percent of all urban TV households in the country. Moreover, GMA scored higher nationwide shares than rival networks in the daytime blocks based on data covering the entire year. In the morning block, GMA registered 31.7 percent against ABS-CBN’s 29.9 percent and TV5’s 12.9 percent; while in the afternoon block, GMA posted 34.8 percent versus ABS-CBN’s 32.5 percent and TV5’s 11.1 percent. GMA’s Pacquiao-Algieri: Hungry for Glory and Pacquiao-Bradley 2 Vindication grabbed the top 1 and 2 slots in the list of top programs (including specials) in Urban Luzon and Mega Manila in 2014. Other top rating GMA shows include Kapuso Mo, Jessica Soho (KMJS), Magpakailanman, My Destiny, Niño, Celebrity Bluff, Strawberry Lane, Marian, 24 Oras and Pepito Manaloto. For the month of December, GMA significantly reduced ABS-CBN’s nationwide margin to 0.5 percent driven by its lead in the daytime blocks. GMA also scored higher ratings across all dayparts in Urban Luzon and Mega Manila. Including specials, majority of the top 30 programs in overall NUTAM, Urban Luzon and Mega Manila in December came from GMA with Magpakailanman taking the number 1 spot in both Urban Luzon and Mega Manila. The weekly drama anthology also emerged as the most watched Kapuso show in NUTAM. This 2015, the Kapuso Network is set to unveil a fresh batch of offerings with the recently launched primetime soaps Once Upon A Kiss, topbilled by the burgeoning love team of Miguel Tanfelix and Bianca Umali, and Second Chances featuring a stellar cast led by Jennylyn Mercado, Camille Prats, Rafael Rosell and Raymart Santiago, setting the pace for this year. Also in the offing this first quarter are Healing Hearts starring some of GMA’s most promising young stars Joyce Ching, Kristoffer Martin and Krystal Reyes, and Kailan Ba Tama Ang Mali? 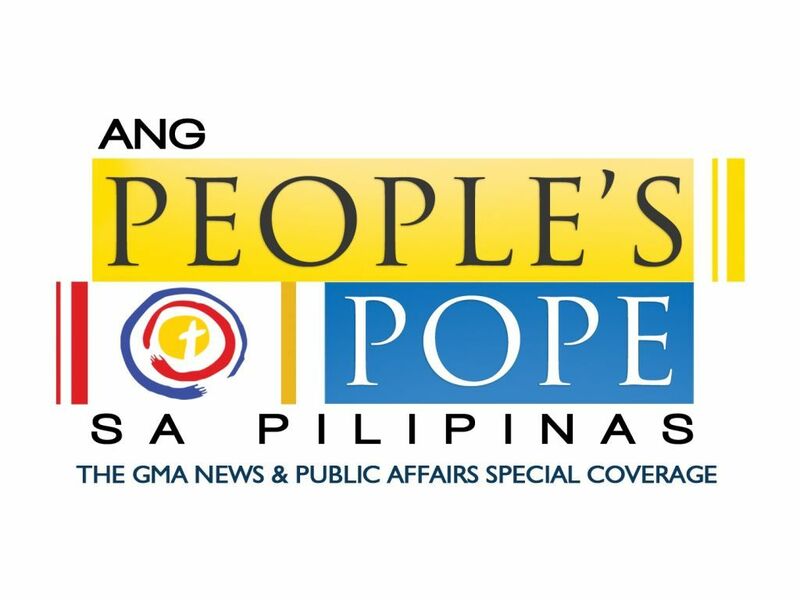 headlined by Geoff Eigenmann, Empress Schuck, Dion Ignacio and Max Collins on GMA Afternoon Prime. 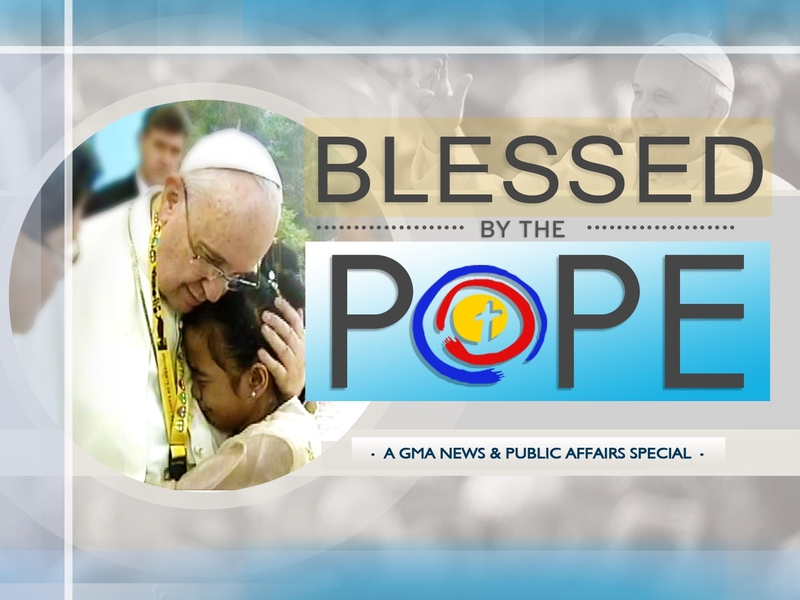 GMA programs can be seen worldwide on its flagship international channel, GMA Pinoy TV. For updates on GMA Network’s artists, programs, international channels and events, visit the websitewww.gmanetwork.com/international, Facebook pages www.facebook.com/GMAPinoyTV,www.facebook.com/gmalifetv, and www.facebook.com/gmanewsinternational, Twitter pages @gmapinoytv, @gma_lifetv, and @gmanewstvintl and Instagram account @gmapinoytv.